Followers of "Mattitude" can rejoice! Mattel's newest Elite action figure of Matt Hardy has just arrived, and it is certainly a unique one. This new Matt Hardy figure is a "Flashback" figure based off of his run in WWE's relaunched edition of ECW. Hardy has a new ponytailed head, accurate camo ring gear, and a removable black shirt. Hardy also includes interchangeable hands that allow him to be displayed with either closed or open fists, or allow him to use his old V1 hand gesture. Matt also comes with a special ECW microphone, as well as Mattel's first-ever version of the silver ECW Championship. Hardy's new Elite action figure is exclusive to the Ringside Collectibles website, and it can be ordered now right here. The 91st series of basic WWE action figures from Mattel have also just been made available! This set includes four figures of updated versions of various wrestlers, and Series 91 also sees a brand new name join the WWE action figure family. Alexa Bliss - Bliss is made in black, white, and pink ring gear with a sinister headscan. Shinsuke Namakura - This version of Nakamura sees him decked out in black ring pants, red shoes, and sporting a red armband. Drew Gulak - This 205 Live Superstar's first WWE figure includes accurate ring attire and a seriously grumpy facial expression. Finn Balor - The former Universal Champion's new basic figure features red trunks, boots, kneepads and wrist tape. Dean Ambrose - This edition of Ambrose is based off of the brief 2017 Shield reunion, and as such, he is wearing the Shield gear in this figure. 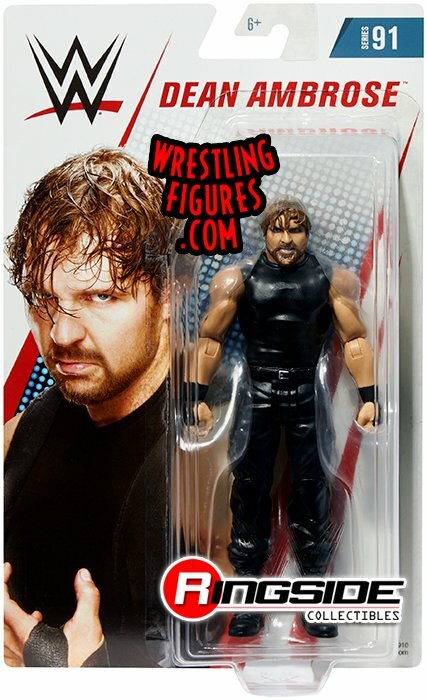 Ambrose also has a new gruff and determined facial expression for this new action figure. 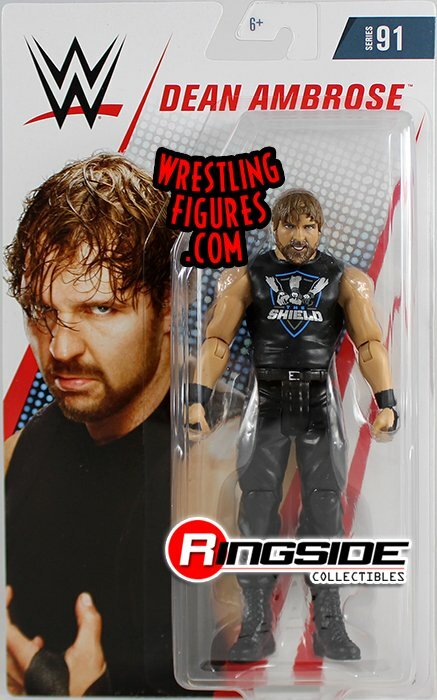 There will also be a chase variant Ambrose figure that has him in a Shield t-shirt. Series 91 is available for purchase right now. Elite 65 was originally displayed at Ringside Fest earlier this year, but the set is now up for pre-order. This new set of Elite figures will see Nia Jax, Eric Young, Aiden English, and Ronda Rousey all make their Elite line debuts. Rusev and Roman Reigns will also return to the line with updated figures in this series. More information on pre-ordering Elite 65 can be viewed here.